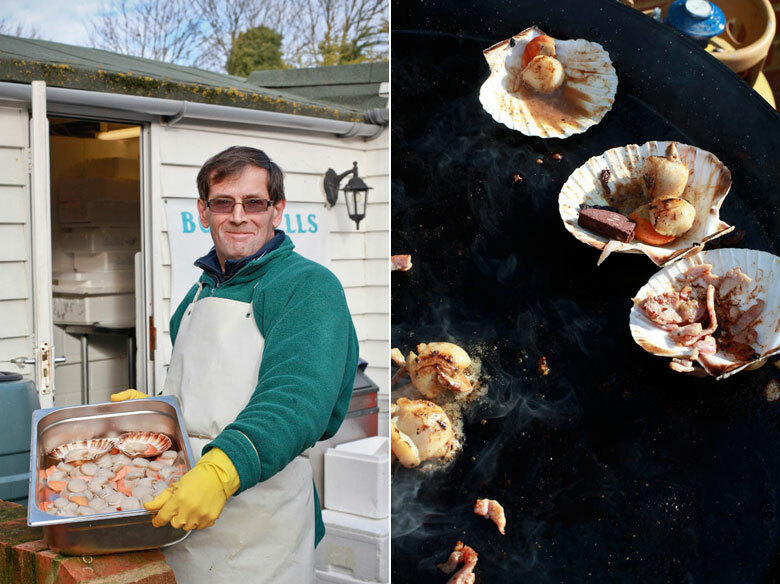 The Rye Bay Scallop Week festival is a fantastic example of a whole town coming together to celebrate the local catch, and the people who catch it, says Regula Ysewijn. The charmingly quaint town of Rye receives many visitors – some of whom love it so much they come to live here. But the original people of Rye descend from fishermen, boat builders, shepherds and smugglers. John Botterell is one such Ryer: a retired scallop fisherman whose sons have taken over his “scalloper” boat. I meet up with him as he and his son George are shucking scallops in the purpose-built outbuilding in their back yard, while his other son Jasper, a former boat builder, goes out to sea. 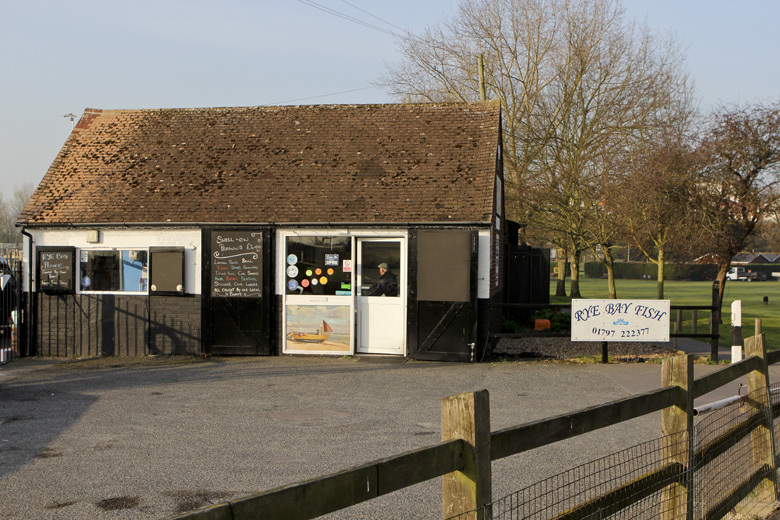 The Botterells sell their scallops and other catch to the local restaurants and at local farmers’ markets. The scallops he shows me are very much alive and kicking, trying to escape – though only moving an inch in a minute – once he places them on his board. 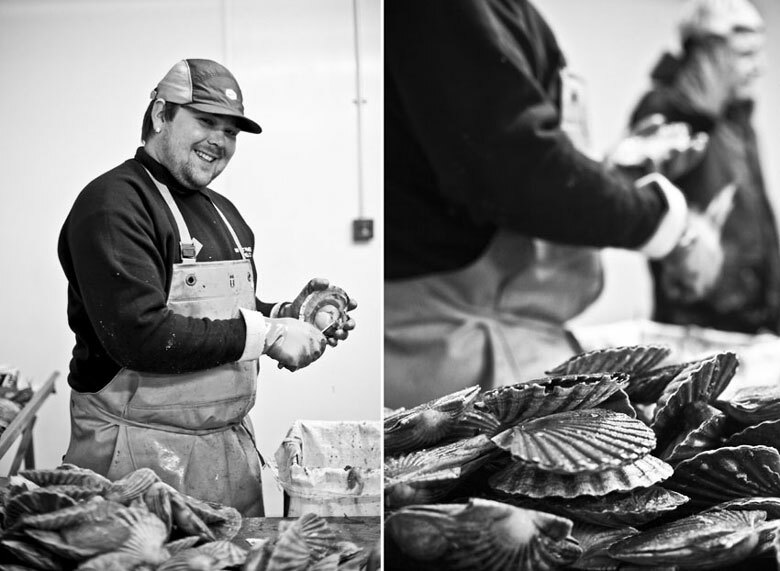 The Rye Bay scallop season runs from November to May and John and his boys make the most of these months. The 10 metre Rye boats return from sea daily while the big vessels operating out of Shoreham stay out for several days. 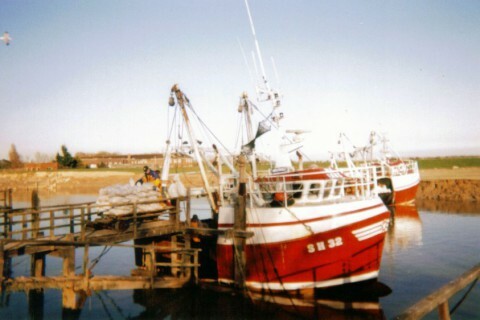 Fish coming from Rye harbour is therefore as fresh as you can get it, unless you go out to catch some yourself. When I ask John if he still eats scallops, his eyes light up and he starts sharing his favourite combinations. 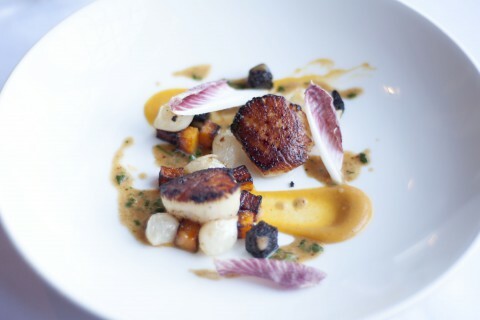 Though nothing fancy, as a scallop only needs a hot pan, some bacon or black pudding and bread and butter, he says, and I have to agree with him. 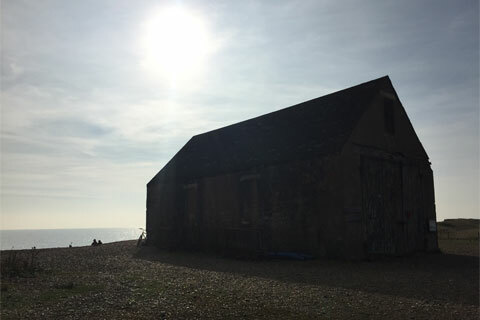 In recent years, Rye harbour got a new quay again, transforming what had become one of the most run-down and dangerous fish quays in the country to one of the best and safest. Today around 20 boats work out of the harbour, landing Rye scallops, sole, cod and plaice. But times are tough for the Rye fishermen, just as they are for the herring fishermen of Clovelly and numerous other small fishing harbours. So this is where the Rye Bay Scallop Festival comes in. The week-long festival has now been running for 13 years, and each year the number of events grow. You can go on a tour of the ancient port for an insight into a thousand years of history, and you can meet the fishmongers demonstrating scallop shucking at the harbour. Every pub and restaurant joins in, offering scallop-themed menus, cookery demonstrations and music. 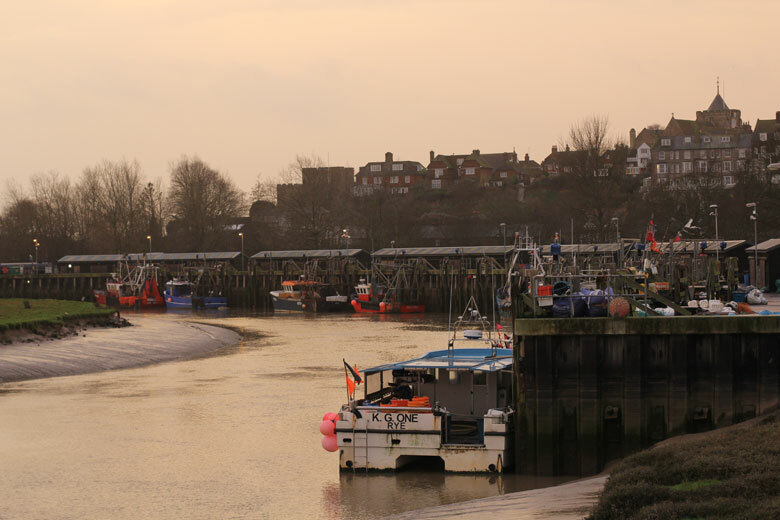 On a scenic walk by Simmons Quay, you’ll be able to taste some scallops prepared by Rye Bay Fish, the little harbourside fishmonger by the bridge over the river Rother. And when you get thirsty on your walk, the Ypres Castle Inn is nearby and will be serving the “Scallop Top”, an ale specially brewed by the Old Dairy microbrewery. The highlight and finale of the festival is the “What a load of scallops” Race where the fit people of the town, led by the local Rye Runners running club, race with a wheelbarrow full of scallops from the Rye Bay Fish shop at the harbour to the Ship Inn at the Strand. All proceeds of the race go to the local lifeboats that are indispensable for the safety of the fishing fleet. And this is what makes Rye special: the whole town comes together to celebrate these molluscs that make such a large part of the income of the local fishing trade. 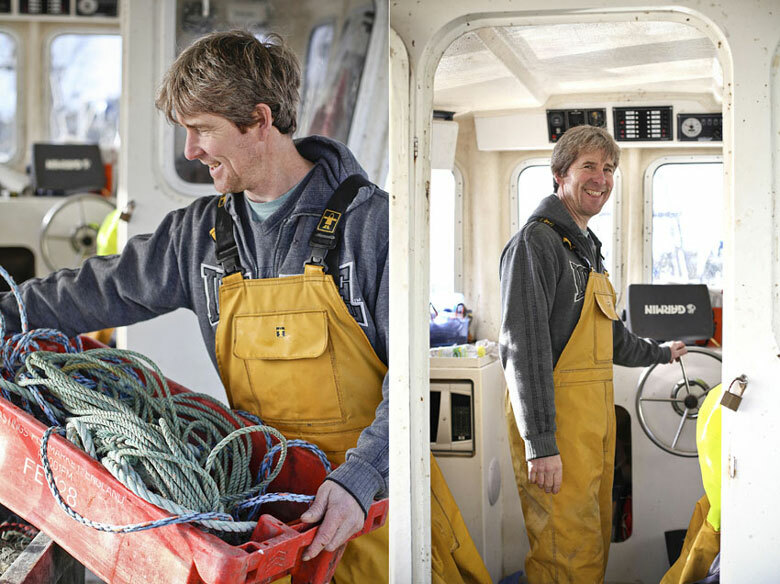 All the pubs, restaurants, hotels and the locals buy their fish and seafood from the Rye boats, which makes a huge difference to the future of fishing here. This isn’t only a festival to celebrate the Rye Bay scallop, it’s also a celebration of the Rye Bay fishermen. Rye Bay Scallop Week runs from Saturday 20 February to Sunday 28 February. To find out more, visit the festival website here: www.scallop.org.uk. Rye can be reached by train from Brighton and London: www.nationalrail.co.uk. To buy scallops from John Botterell, visit: www.scallop.org.uk/botterells. Regula Ysewijn is a Belgian freelance photographer and graphic designer. All the pictures on this page are by her. 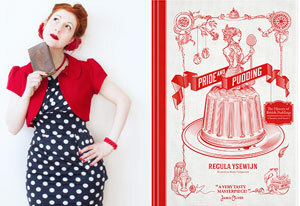 Her first book, Pride and Pudding, tells the history of the British pudding, from ancient times to the present day. It is now out in Dutch (published by Davidsfonds) in Belgium; the English version (published by Murdoch Books) will be launched in the UK, Australia and New Zealand in April and is available for pre-order on Amazon now. On 15 November 1928, the Mary Stanford lifeboat was launched into a fierce gale to save a stricken vessel – not one of the 17 crew returned. The lifeboat house was never used again. Now, moves are afoot to restore it as a memorial.